The fresh ideas of the Fintechs have revolutionized the financial services industry. Users appreciate especially the simplicity of the solutions. Under the hood, proven software components such as the BL Transfer Tool do their job in most cases. With Fintechs, a new type of company entered the market of service providers some years ago, which until now had been reserved for the banks. Using innovative technologies, they offer new and above all comfortable solutions for the web. Fintechs have a decisive advantage over the established credit institutions: their enormous agility. While new ideas for financial services in the banking world often have to struggle their way through all instances, the business model of Fintechs consists in the forging of ideas and the fastest possible implementation. The quality of the solutions depends on a number of factors. In addition to the obligatory innovative usage interfaces in the form of apps or portals, what matters mainly are reliable processes in the backend. Most of these processes consist of the communication with credit institutions via interfaces, whether for transferring payment files or for retrieving account information. In Europe, with the standards for SEPA and EBICS there are ideal conditions in the area of corporate banking for implementing technical concepts using the modular principle in the shortest possible time. For this, however, only products can be considered, which can be easily integrated into the business processes of the service providers. Features such as platform independence or stability play just as much a role as flexible usage. 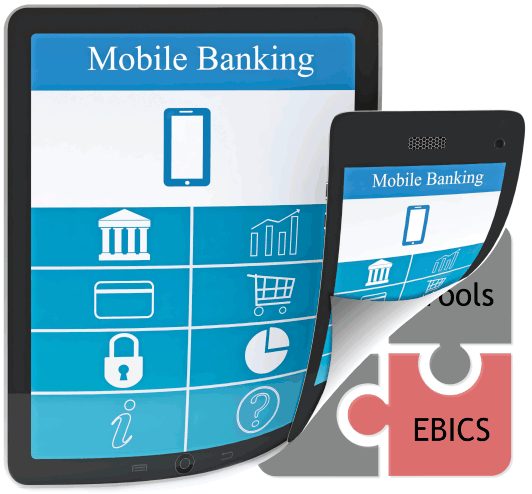 The BL Transfer Tool provides service to many Fintechs for several years and makes for reliable processes in the interaction with all EBICS banks. The software is distributed directly by the manufacturer and is available on request free of charge as demo version for all interested parties.